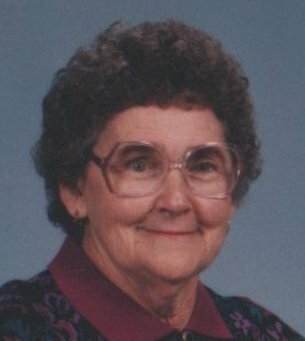 Obituary for Sara Maxon Cappelli Morgan | Melenyzer Funeral Homes & Cremation Services, Inc.
Sara Maxon Cappelli Morgan 89 of Titusville, FL formerly of Charleroi, died Monday March 25, 2019. Born in Elco on August 5, 1929, a daughter of the late William and Eliza Giles Maxon. For many years Sara worked as a waitress at the former JIB’s restaurant in Charleroi. She enjoyed square dancing and spending time with her family. Sara is survived by 4 children; Linda Vernet of Rostraver, Robert (Kathy) Cappelli of Baltimore, MD, Leo (Laurie) Cappelli of Melbourne, FL, and Barbara (Dean) Smith of Stamford, CT, 10 grandchildren; Lisa Dacko, Jennifer Dudzinski, Jennifer Pajewski, Joseph Vernet, Laura Cappelli, Sara D’Alto, Tracy Cappelli, Nick Smith, Ryan Smith and Kyle Smith, 6 great-grandchildren and 1 brother William Maxon of Roscoe. She was preceded in death by her first husband Leo Cappelli, her second husband Dallas Morgan, 2 brothers George Maxon and Lee Trettle and 2 sisters; Lucy Rutherford and Grace Maxon. Relatives and friends will be received on Saturday April 13, 2019 from 11:00am-12noon with a Memorial service beginning at 12 noon at the Melenyzer Funeral Homes & Cremation Services, Inc. 825 Fallowfield Ave., Charleroi. Private interment at Calvary Cemetery Charleroi.